Learn How To Analyze, Manage & Test Your AdWords Account Easier. How Do Responsive Search Ads (RSAs) compare to Expanded Text Ads (ETAs)? 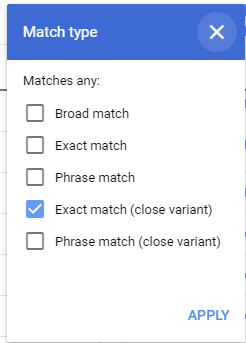 Exact match is no longer exact match – are you managing the changes correctly? ... and how to fix them fast! Check Your Account For Free!